I’ve been blogging for about six months now, and while it’s been really fun so far (and I have learnt loads about content and the technical side), I know there’s so much to learn, in terms of writing, designing, and connecting with other bloggers. So imagine how pleased I was to find that über-blogger Pip Lincolne (of Meet Me At Mikes) was inviting everyone to join Blog School. 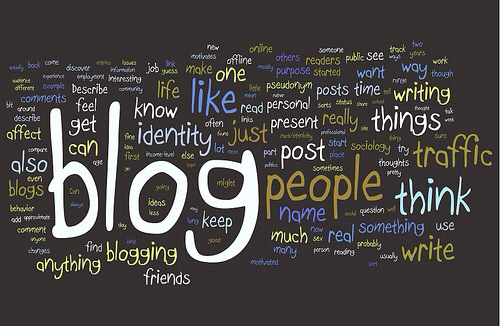 Blog School is a free weekly guide to blogging, starting from the ground up. We’re going to talk about all the blogging basics, things like where to start, design, content, inspiration, consistency, images and social media. And we’re going to talk to other great bloggers too, and find out how they blog and why they blog, too!I recommend you take notes on each class (print these posts out and file them together if that helps!) So grab your notebook, sharpen your pencils and let’s go! I’ve made you some little prompt sheets too. You can print those out if you would like to!JustB Blog School has its own Facebook group too. You can find that here. I’d love you to join! It will be a great place to learn from each other and grab any printables or downloads! Everyone is welcome. So of course I joined up as soon as my fingers could press the invite button to the Facebook Group! Our homework this week was to blog about the blogs we read ourselves. I thought that, instead of simply doing a blog post, I’d create a more permanent reference, in the shape of a page, that I’ve no doubt will be added to again and again as I meet more people in this fascinating world of blogging, tweeting, facebooking, instagramming and pinning! I follow blogs using Google Reader, and read them using Flipboard. I love that Flipboard displays posts in a magazine format – you can literally flip through the pages to find something that stands out and makes you want to read an entire post. It’s great! I’d love to know if we have blogs in common, and if you know of a blog that’s conspicuous in its absence from my list, please do let me know, I’m always keen to find more. The latest homework had us think more critically about, how, why and where we use images on our blogs. It made me think a lot about the images on here (and made me admit to myself that I use filters waaay too much!). While I love the bright images on my pages, I needed more white space, so I’ve re-done my header. And to try it out and to see if it works, I’ve even added a gif (had you noticed?)!! I’d love to know what you think,why not leave me a comment below? OOh, I’ve never heard of Flipboard – will look it up, sounds fab. I LOVE your gif! I want one! Do you think blog school will cover gifs? If not, perhaps you could share a “how to” on the blog school fb page? I bet it’d be popular!